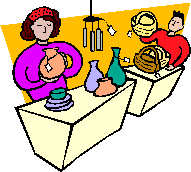 Our club took in $859.04 at the Courtyard Sale on Saturday, according to our Treasurer Shirley Dubansky. Subtracting $40 for table rentals and maybe a few bucks for price stickers, we still netted over $800. According to Russ’s records, this is the most we’ve made at a single sale and exceeds our 2012 total by about $200. Thanks to all who contributed to making the sale such a success: everyone who donated items, the pricers who went through them on Friday afternoon, the truckers who loaded up Friday and got up to deliver before dawn on Saturday, and the unloaders and salespeople who worked from then until 11:30. The leftovers were given to Golden Goose. Special thanks to Carol Bowman not only for letting us use her garage but also for arranging to be at home to accept donations, to Shirley for taking care of the cash all morning and counting up the proceeds, and to Darwin for his leadership. Great job! This entry was posted in SCVGS and tagged Courtyard Sale. Bookmark the permalink. Congratulations and many thanks to all who helped price and load then an extra debt of gratitude to those who showed up EARLY Saturday morning to unload and arrange all the treasured “stuff” for the sales staff. Great job!!! !